Just make out where the C&A discs were. The recently uncovered old ‘C&A’ stones discs that were positioned above the store when it traded in the High Street opposite the Guildhall, have now been removed as work speeds up to transform this retail unit into its latest regeneration as a T.K. Maxx store which is due to open early next month. I wonder if anyone has a picture of the C&A store when it was trading here? 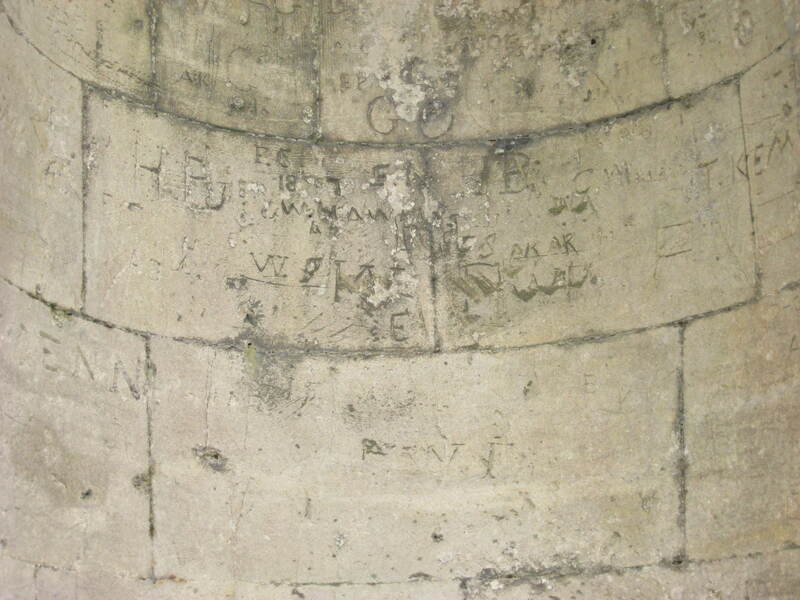 Meanwhile the means of leaving your mark may have changed over the years but there is nothing new about graffiti damage. 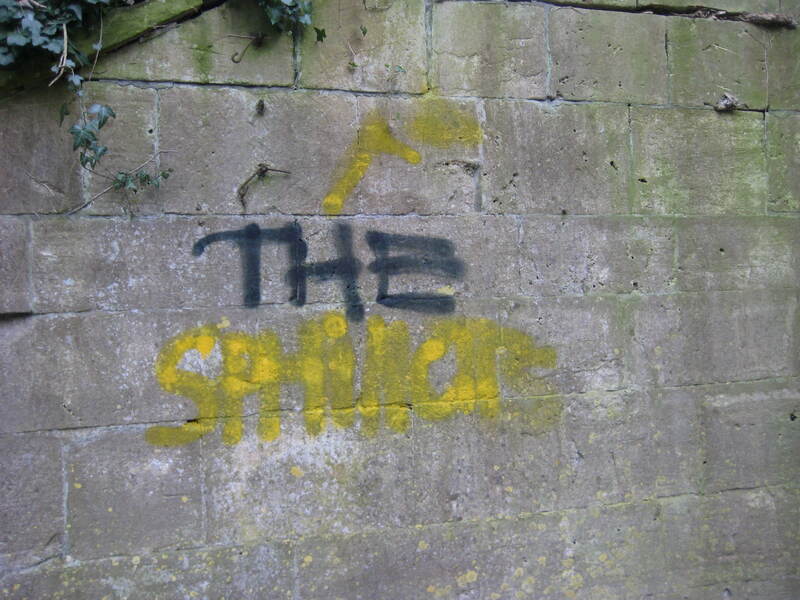 ‘Ancient’ graffiti beside the Kennet and Avon canal. Two examples close together in physical distance along the tow-path of the Kennet and Avon canal – as it passes through Sydney Gardens – but separated by the centuries. The carved versions go back to the mid 1800’s. The aerosol version – with no artistic ability involved – are examples of recent damage.